Mindful Mothers: What a great year! The 4th Annual Munchkin March was an amazing success! Thank you to everyone who joined the event; we had a great time!! 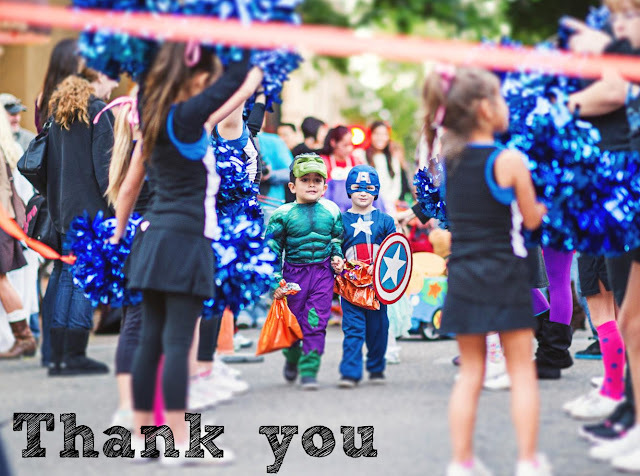 Our group was founded in 2009 with the first annual Munchkin March Halloween Parade, which was also a benefit for the Food Bank Coalition of SLO County. That first year, we had 25 children participate. In just three years, we grew our participation 1000% to 500 participants in 2011. I am pretty sure we beat that number this year! While we weren't able to get an exact count, we are estimating between 600-800 kids, parents, and family members showed up in support of the Food Bank Coalition. We are growing, and learning along the way. Every year we have seen impressive growth and interest in our event, and we thank you for your support. We can't wait to see what next year holds! We would like to add a special thank you to the Willard E. Bartel Foundation and to Glenn Burdette, CPA for sponsoring our event this year.